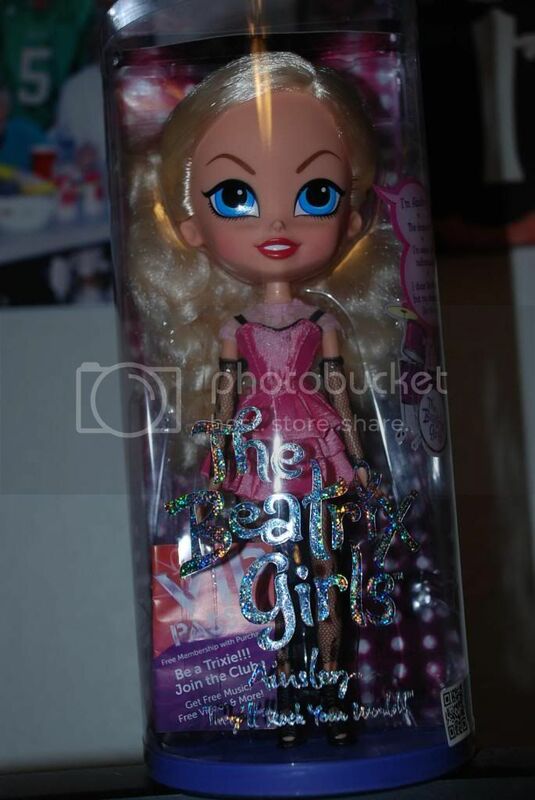 Andrea's World Reviews: The Beatrix Girls Review and GIVEAWAY!! Being the mother of a 2 1/2 year old diva is not easy, but it sure is rewarding. Along with all the trials and tears come many triumphs and much laughter. And while I'd love to be a mother and a best friend, that is not entirely possible with a 2 year old. She lives in her own world much of the time. In her world, she is the boss, and she has a ton of friends, only none of them are children. Instead they are her toys. She is friends with bears and cats, and babies, and she just made a new friend, who is really cool. Her name is Ainsley and she is a pop star! More specifically, she is one of The Beatrix Girls. Ainsley is a drummer, and she has beautiful blonde hair and a fabulous sense of style. All of the Beatrix Girls are lovely and super stylish, but I chose Ainsley because she is a blonde just like my little girl. She loves to match her friends. Ainsley's adorable pink dress is just my daughter's style too, so they have quickly become the best of friends. My daughter plays with Ainsley more than any of her other dolls. They watch TV together and Ainsley joins us for story time. She would probably sleep with her is I allowed it. I love how Ainsley is not proportioned like the typical fashion doll. The focus is not a large bust or a ton of make-up. She dresses stylish and a bit edgy, but nothing too inappropriate for a young girl. 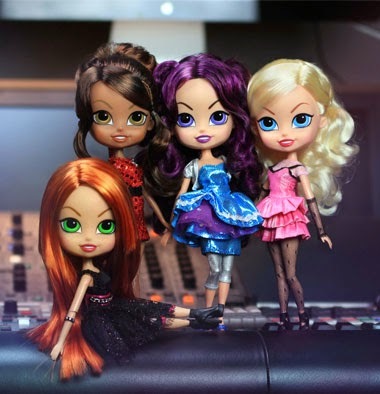 I love that all of the Beatrix Girls stand for friendship and fun, and they all love music. My daughter already loves music, so it's a perfect match. The Beatrix Girls make real music that is perfect for little girls. If you know a little girl that loves dolls or that is looking for great music created just for her by 4 awesome girls, then I highly recommend The Beatrix Girls. That's why one lucky winner will receive a Beatrix Girl doll of their own. Enter below for your chance to win. Good luck! I would get Brayden as Brea is requesting her. Brayden would be my Delilah's favorite. I would love to have Brayden for my daughter! She seems to match the same personality traits as my daughter and she is so pretty!